Tired of being teased for your corroded alternator and boring engine bay? Step your Alternator Cover game up; GrimmSpeed has just what you need. 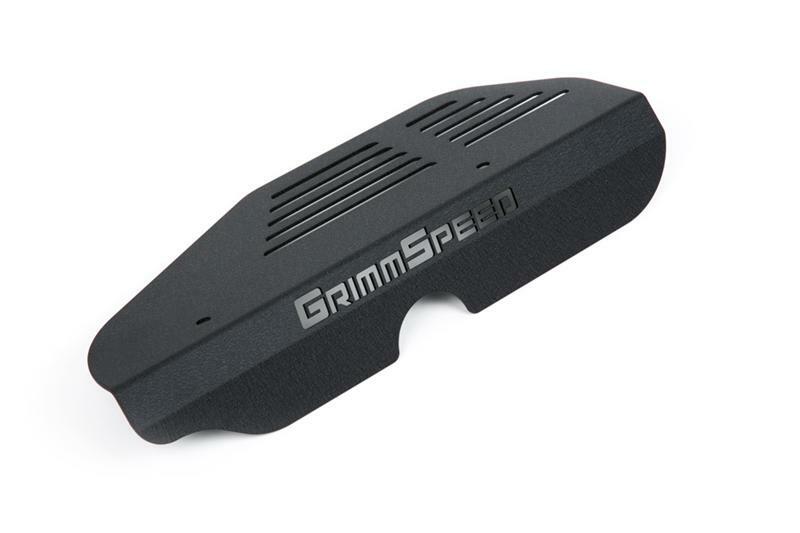 This cover mounts securely in place of your plastic factory cover and its asymmetric design is intended to compliment the GrimmSpeed Tool Tray Radiator Shroud perfectly. Available in brushed stainless steel, as well as our three standard texture DuPont powdercoat finishes, there’s an option for everybody. Once again utilizing our in-house FARO Arm along with 3D CAD software, we were able to map the location of not only the mounting points, but also the smaller, critical components in different model years. A belt cover designed without these in mind can wear through hoses or wiring and worse yet, may contact your accessory belts or pulley, causing serious damage. What this means for you is that the best fitting Alternator Cover on the market is here at last. 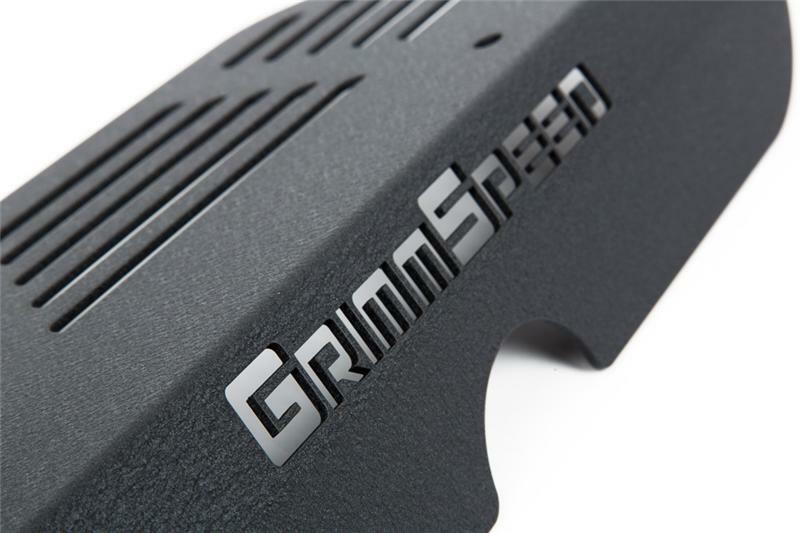 It’s what you can expect from GrimmSpeed, and it’s what you’ll get with this kit. Our Alternator Cover is precision laser cut from locally-sourced material and the drive-by-cable dimples are punched before its CNC bent for a perfect fit. Aluminum covers receive a durable DuPont powdercoat in a textured red, black or silver, while the stainless steel covers receive a protective film to prevent scratches in both manufacturing and shipping. Mounting of the cover is facilitated my machined aluminum supports. 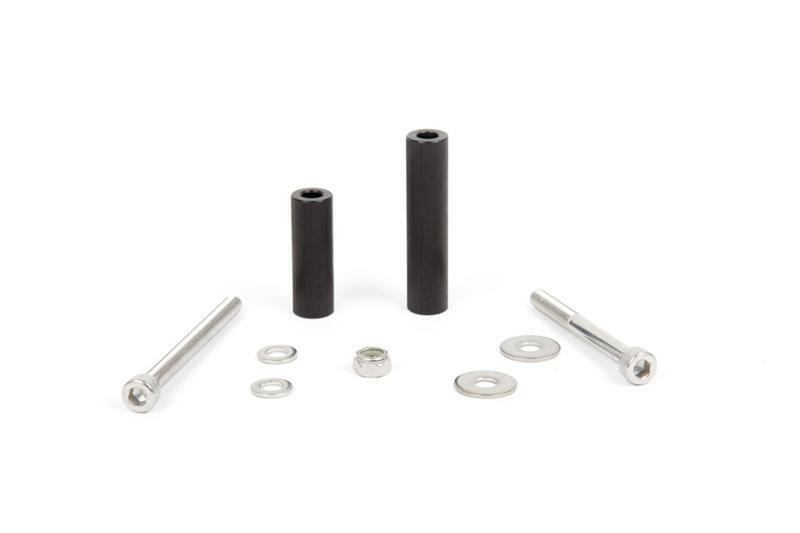 Following the machining process, these supports are black anodized for a clean look and corrosion resistance. This is particularly important in an environment like your engine bay. Clear zinc hardware finishes the look and keeps everything planted firmly.